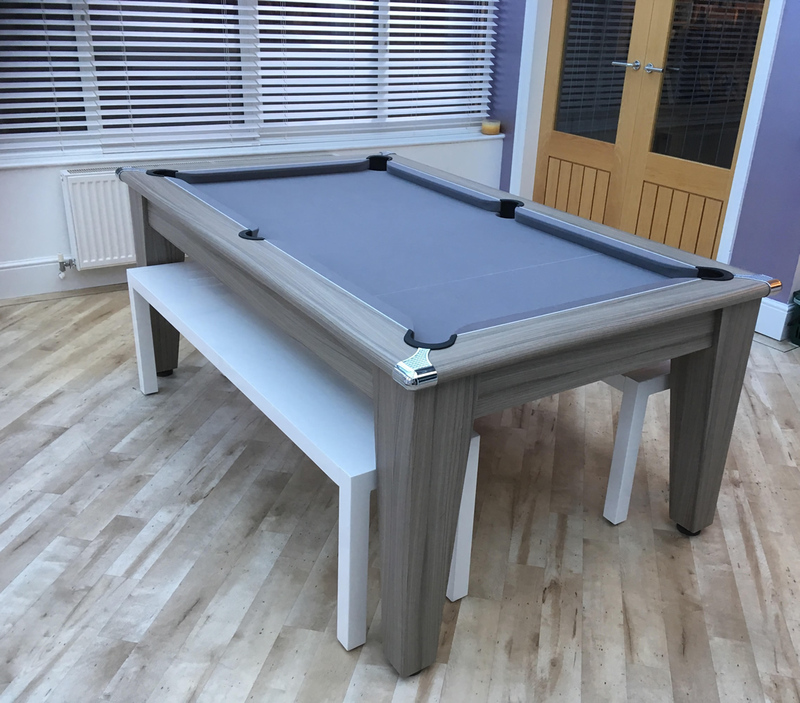 Pool Table Recovering Nationwide for 47 Years! 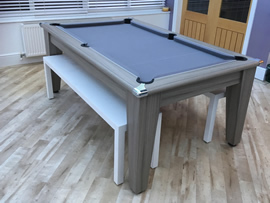 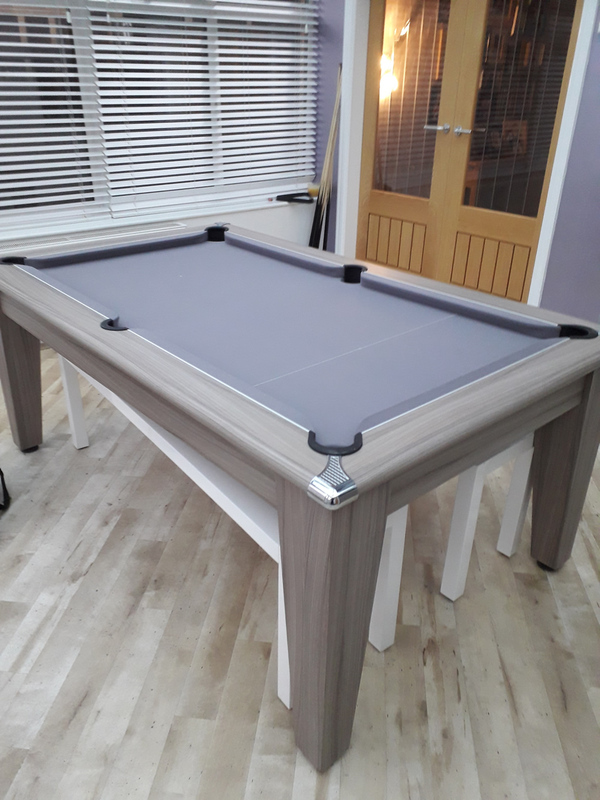 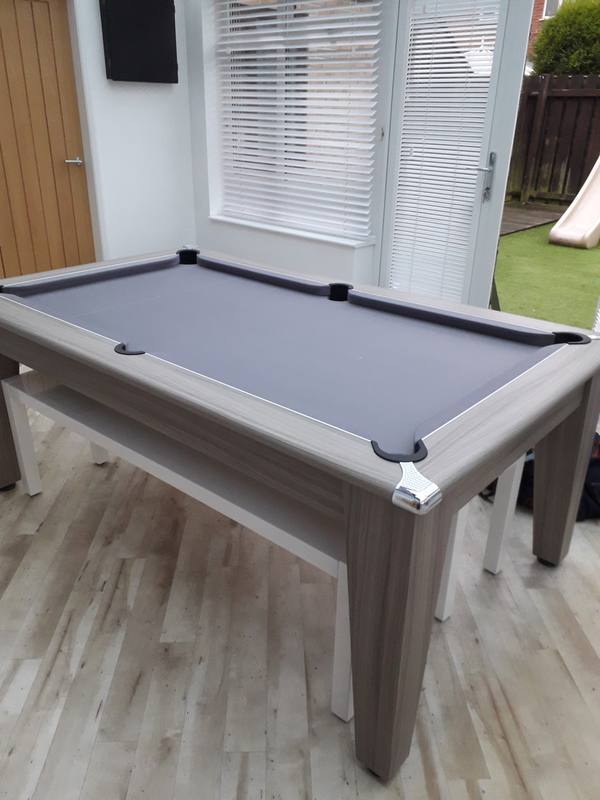 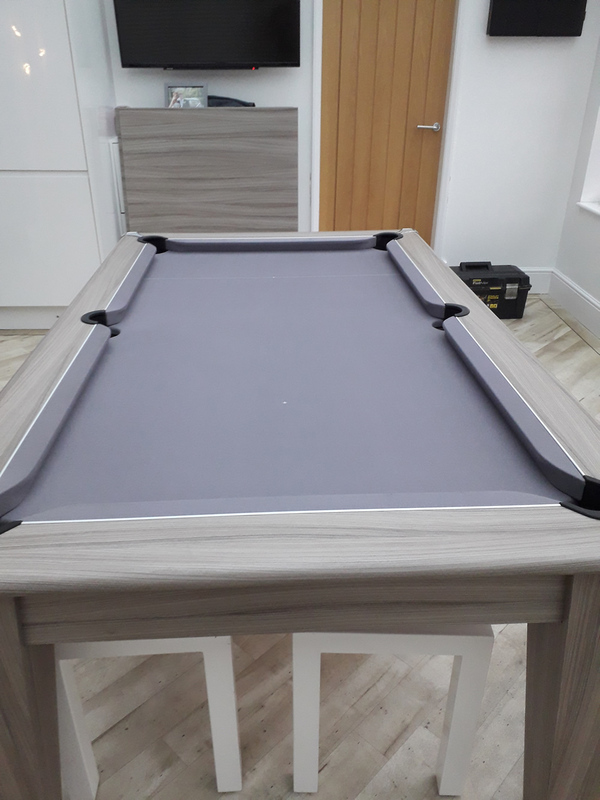 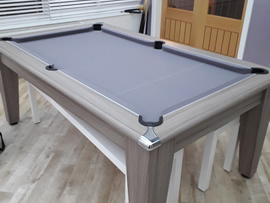 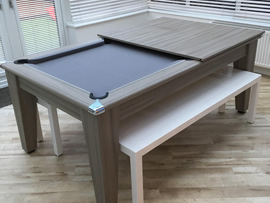 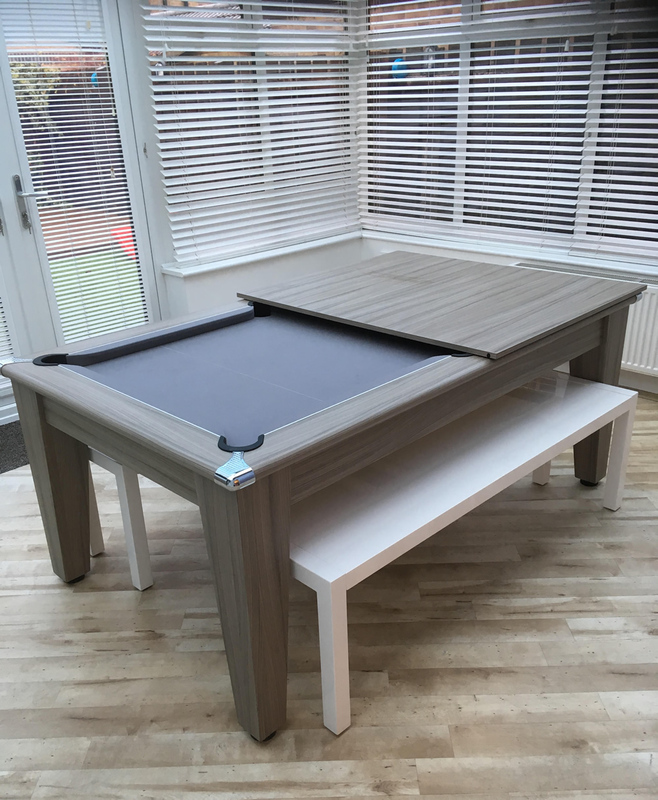 One of our local clients who bought the impressive Gatley classic diner from us was extremely impressed with our recent recover of the table in Hainsworth Smart Silver napped cloth. 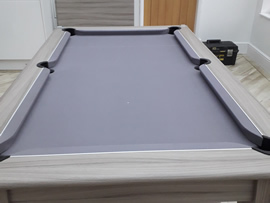 With a 95% Merino wool content allied to 5% nylon constituency, this superb Hainsworth cloth has been independently tested for colour fastness and fading resilience to BS EN 150105B02 1999 standards and is rightly acknowledged by the trade to give prolonged high performance through its' hard wearing napped finished. 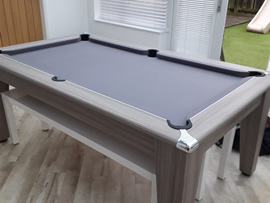 All this quality can only be utilised by having it fitted by trained market leading trade craftsmen of the IQ calibre. 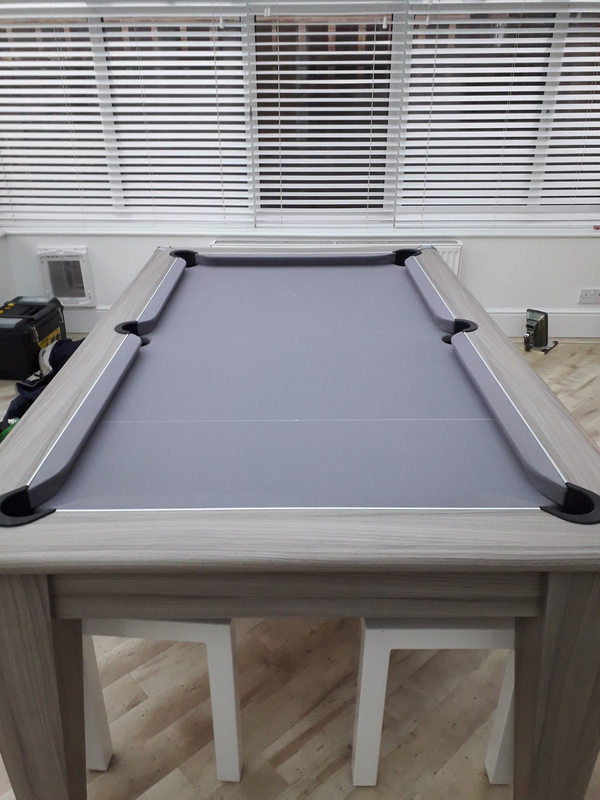 Time honed skills to get the fitting just right and the cloth to the right tension is imperative - the finished result is top class. 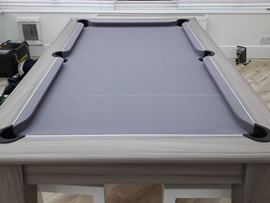 Call or email us today for a keen quote on your snooker or pool table recover.